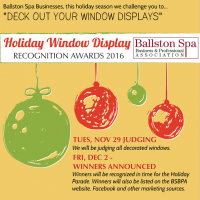 The BSBPA would like to thank everyone who made this year’s parade such a success! The hardest working crew around is our own Ballston Spa DPW. They not only helped install, light and hang the ornaments on the tree, but also put in many hours preparing the village for the parade and the holiday season. Their help has been indispensible. 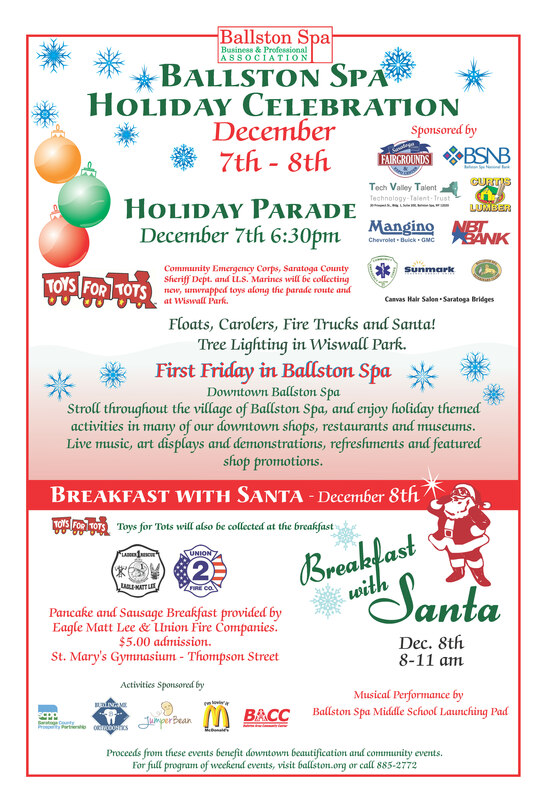 Thank you to Mayor John Romano and the village of Ballston Spa for their continuing support of this event, the Ballston Spa Police Department for their essential help with logistics and safety, and our own Eagle Matt Lee and Union Fire Companies. Special thanks to all the volunteers who spent this evening making sure the parade progressed smoothly by helping to man the roadblocks and help with crowd control. The parade couldn’t happen without them. Wishing everyone a joyous holiday season. Be kind to each other, as is befitting this Village of Friends!